The full moon and northeast winds have the tides unusually high and a bit tough to fish. However, since it is so high, the feeder creeks from the St. Johns River to the JTB bridge will be your best bet and will have plenty of water in them to navigate safely. Take your time, use the depth recorder and anchor up on some of the bends. Most big swooping bends will have deep holes and this will be where the fish are. 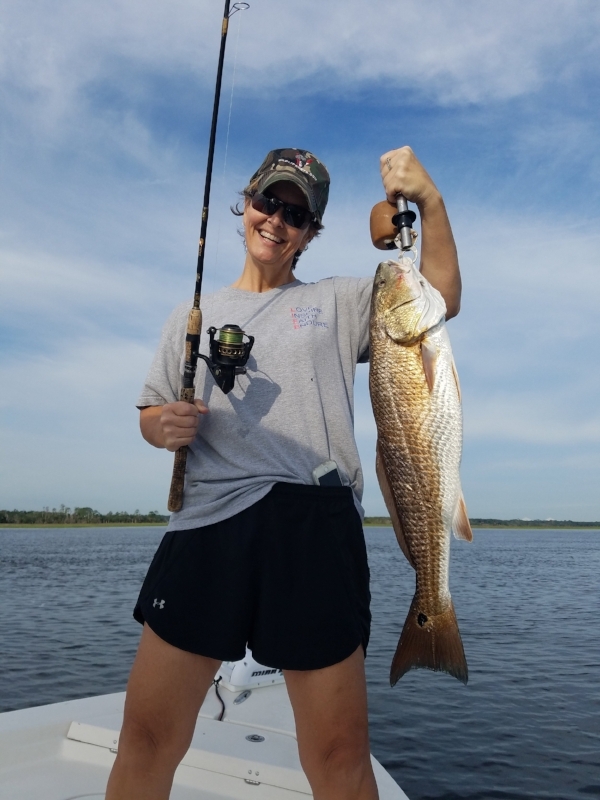 Redfish, yellow mouth and spotted sea trout as well as croaker, mangrove snapper and flounder may be laying in these drop-offs. Use ⅜ oz. jig heads or ½ oz. fish finder rigs (Ricks Bait and Tackle has everything you need) with live shrimp or mud minnows for best results. The creeks also provide some shelter from all the wind and make things more comfortable while fishing. Good luck and tight lines.